With trees and bulbs in bloom all around us, we are in the throes of a glorious spring here in the Northern Italian region of Veneto. It’s the season to be out and about, to delve into nature and to feast our eyes on as many green and sprinkled with flowers views as we possibly can. Well, here is a list to help you do just that. 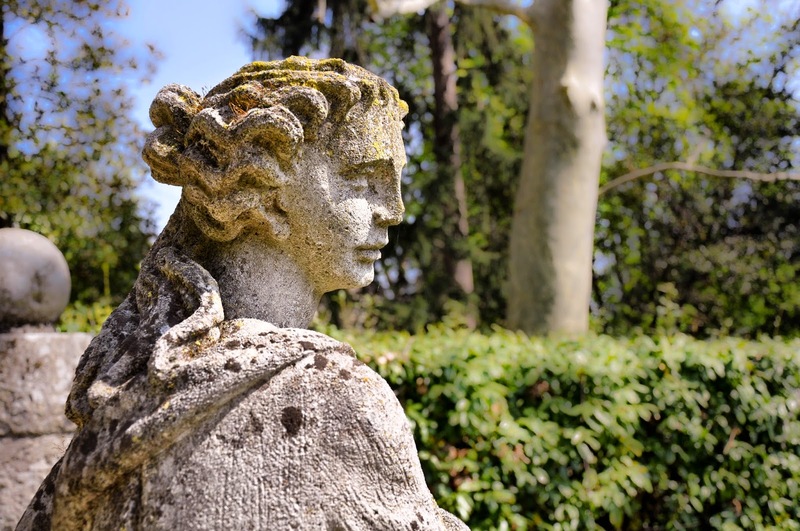 Lush gardens and parks – attached to beautiful villas, embraced by old cities or sprawling their long bodies independently under the Italian sun – are dotted all over the Veneto. Visiting them makes for a great day out. So, come the weekend or if you are enjoying a day off, make sure that you get in your car and head to one of these. They have all been personally tried and tested by me and my family, so all information and photos below are first hand. As all the gardens and parks in this list are equally beautiful and hence cannot really be compared to one another, I have ordered them below alphabetically. If you have already visited any of them, please, let me know your impressions. Also, if you want to suggest another Veneto park for me to add to this list, go ahead and mention it in the comments section below. Thank you! Now, let’s delve in. a) Hazelnut Tree Witch – a good gift-bearing witch. Apparently, in the past, the hazelnut was a symbol of intelligence and cleverness because people have to think how to open the shell in order to reach the kernel inside. 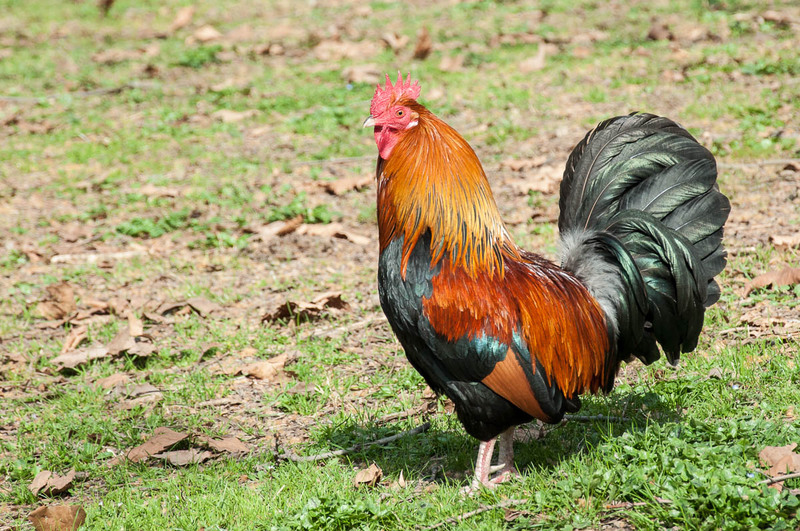 b) Martoreo – a mythological animal which would eat the farmers’ hens. Hence, they would leave one hen out especially for the martoreo to devour and thus avoid the slaughter of all of the other hens. c) Massariol – a spiteful pixie which hits the animals with its club, but on the other hand provided the recipe for beer to people. 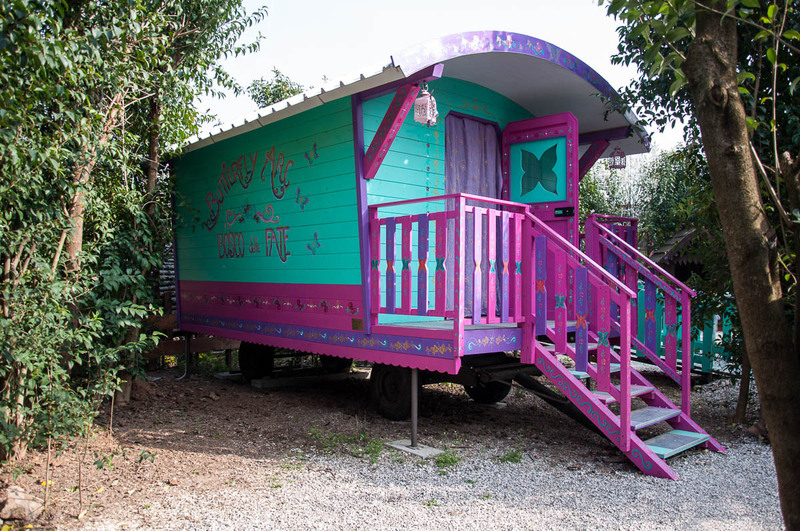 Other things which will catch your eye in the Forest of the Fairies are the talking oracle in a colourful painted caravan (you need to feed him a coin before he speaks), the giant’s foot imprint and (my personal favourite) the stone maze. There is also a nice little playground and a small water centre at the far end of the park housing such rare specimens as Mexican blind cave fish, a softshell turtle and a few axolotls. It is a very nice and relaxing place to spend half a day (or, if you bring lunch) even most of the day in. Even though it is surrounded by blocks of flats on the outside, it feels very calm and tranquil inside the park. Please, click here for up-to-date information about ticket prices and opening times. There is ample parking space just outside. c) a curious summer house built on top of a mound and surrounded by a moat. 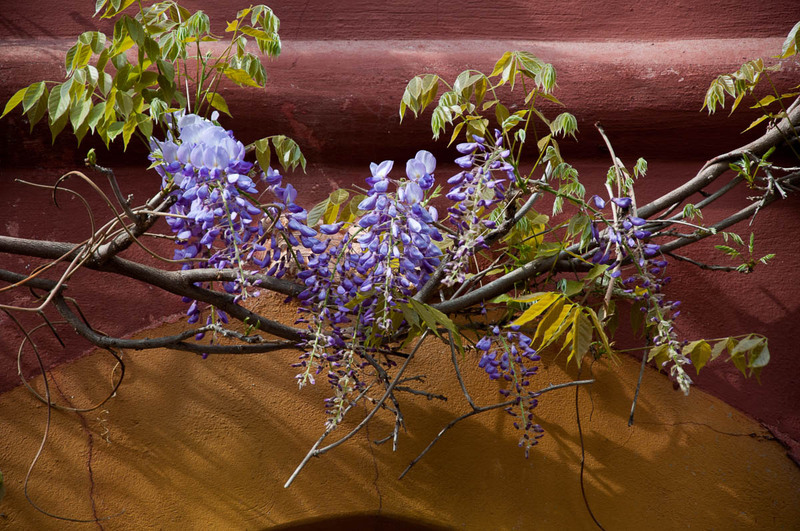 There are also wisteria tunnels, an exedra (which was a brand new word for me! 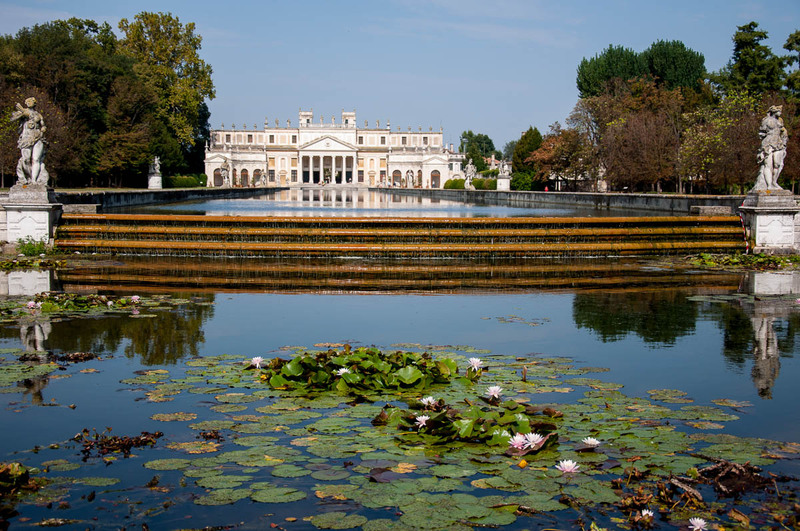 ), plots with 60 thousand tulips and even a small wooded area, where you can take refuge from the bright sun and wander in search of the gorgeous belvedere – a huge gate with spiral staircases from the top of which you can admire the nearby river Brenta. Italian, French, Austrian, and English gardening influences can be seen in the design of the different parts of the park. You cannot picnic in the gardens, but there is a cafe at their other end serving typically tasty Italian sandwiches and light meals. There is ample parking space, too. Click here for current ticket prices and opening times. Access is free every first Sunday of the month. 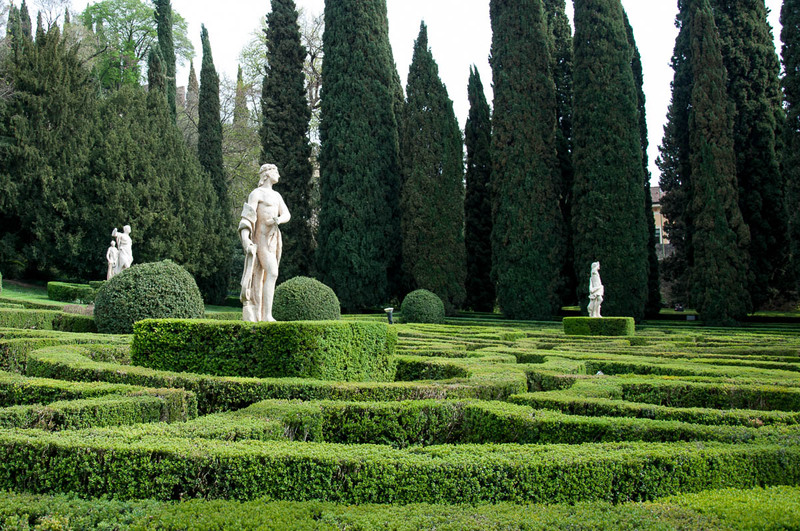 I have to say that the Guisti Garden in Verona stole my heart. It is a tranquil place which fills the soul with beauty and dreams. 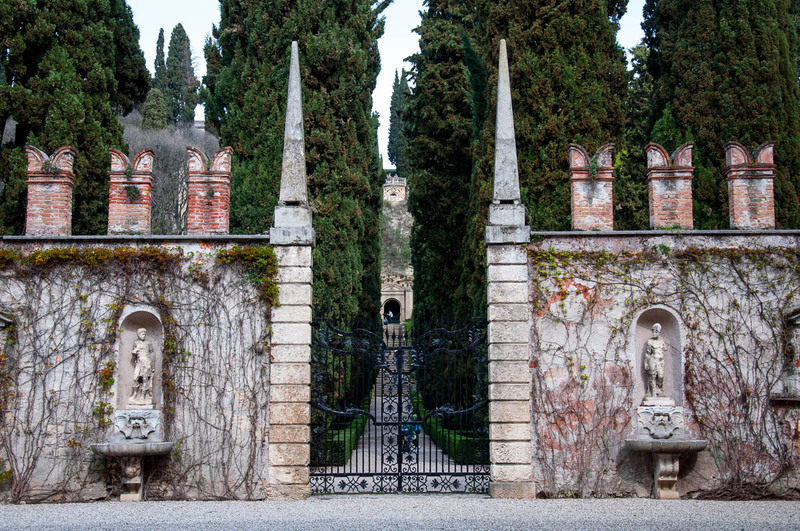 As soon as you lay eyes on its entrance gate you know that you are in for a special experience and this makes you take every step through the garden very slowly in order to savour every moment at its fullest. 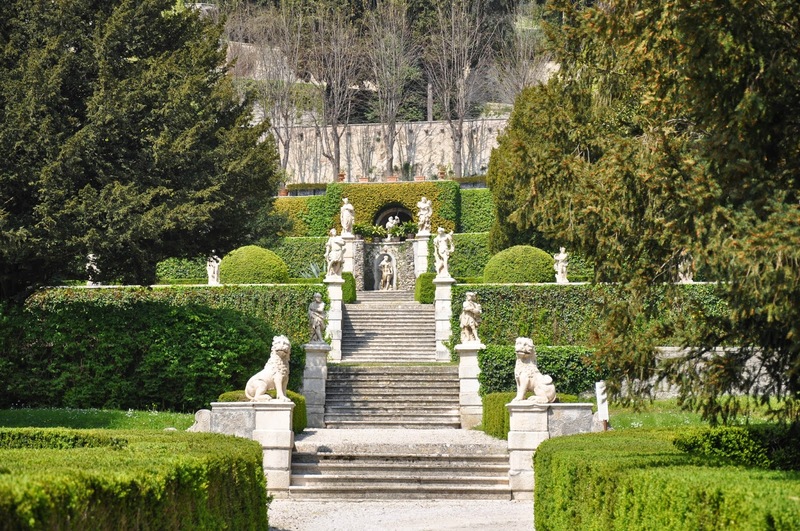 This Renaissance garden, first planted in the 15th century, is a place of contrasts. It has a flat part which has been styled in the tradition of the best Italian gardening practices and then, suddenly, it rises sharply up a steep hill from which a breathtaking view of Verona can be admired. Whimsical details like the grotto and the mask (originally designed to billow smoke) atop of the hill add to the unexpected character of the place. You can sit on a bench among the perfectly trimmed and geometrically shaped ivy bushes and simply contemplate life whilst looking at the turtles and the koi carp in the two fountains. Or you can start the walk up the hill and see Verona in all its glory from several viewpoints at different heights. As a final touch, you can lose yourself in the lush maze. A special mention deserve the incredibly tall cypress trees which line the alleys in the garden and which inspired Goethe himself when the German writer and statesman visited the Giusti Garden in 1786. Click here to check current ticket prices and opening times. I have also posted a short video of the views over Verona on my Facebook page. Please, click here if you want to have a look. 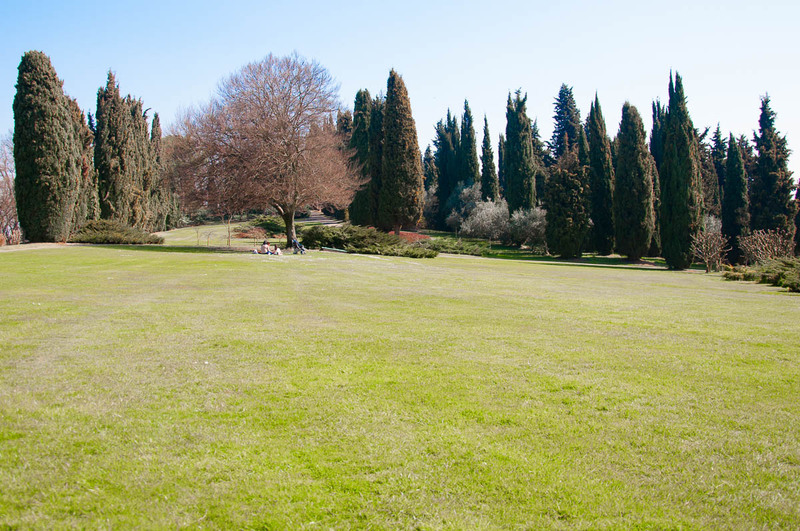 The garden is situated within the city limits of Verona, about 35 minutes by foot from the Verona Porta Nuova train station. The mother of all Italian parks! Through the years Parco Giardino Sigurta has been named the Most Beautiful Garden of Italy, has won awards for its amazing tulip displays and in 2015 took the second place at the European Garden Award. So, yes, keep your expectations high. Plus, the park is big. Huge more like. In fact, people are given the option to hire a golf buggy or ride a little train while visiting it in order to swiftly move around. If you decide against it, then you can walk all of its 60 hectares at your leisure. The history of the park spans several centuries but it achieved its absolute apogee under the ownership of the Sigurta family which acquired it in 1941 and the name of which it carries nowadays. 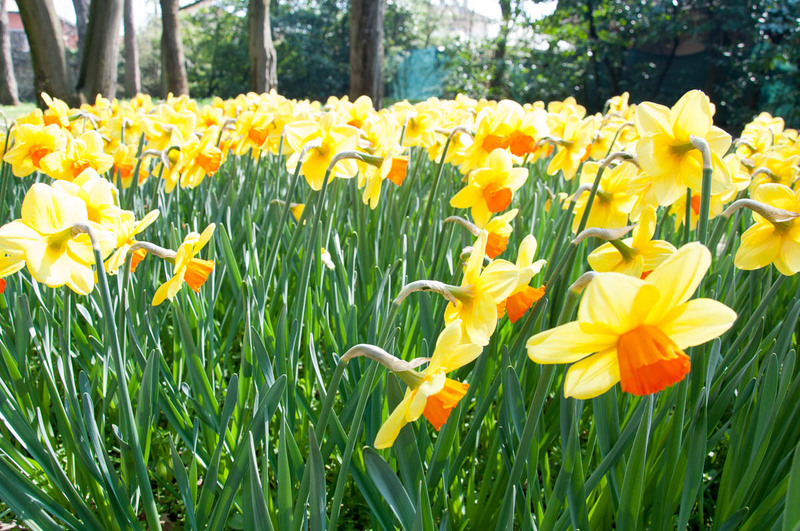 There are many things to be seen and enjoyed in the park – gorgeous spring flower displays (including one million tulips), wide green spaces which are perfect for picnics and/or lazy afternoons under the warm spring sun, picturesque ponds with huge koi carps, a rose avenue, a newly-added maze, the Romeo and Juliet sundial, a medicinal herb garden and water gardens to name but a few. 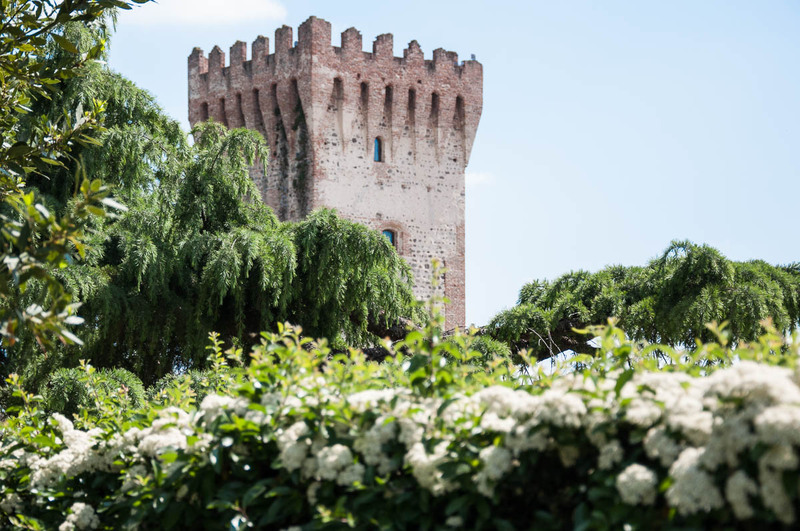 I need to tell you though that the splendid towers seen in some of the promotional materials for the park actually belong to the nearby Scaligeri castle. 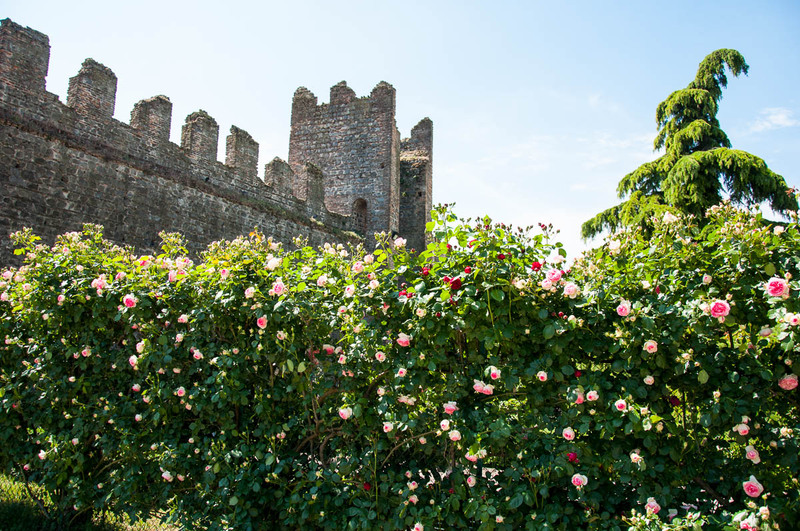 The castle can be seen from the park (most precisely from the vantage point of the rose avenue), but it is located outside of the park perimeter and can be visited free of charge in the adjacent town of Valeggio sul Mincio. Interestingly enough, Parco Giardino Sigurta is located on top of a raised plateau and it is completely surrounded by walls. At certain points, you can admire some splendid views over the river Mincio running in the valley below. 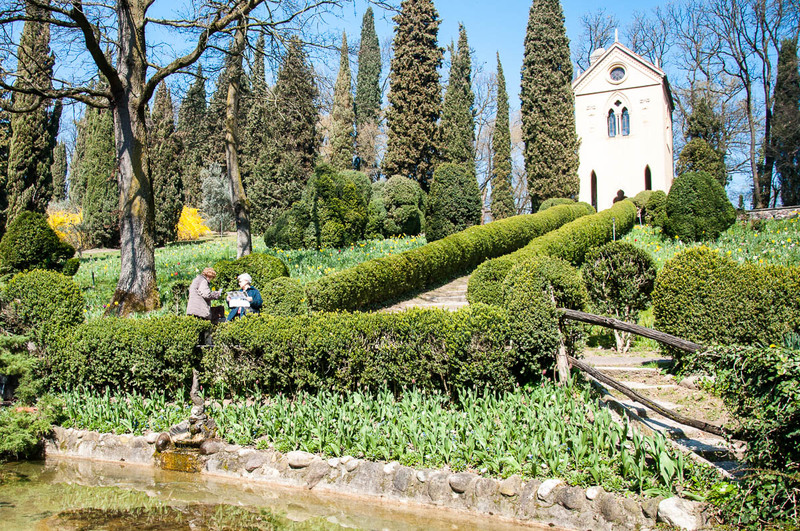 The park is a great half-day or full-day out and you can combine it with a visit to the nearby Borghetto sul Mincio (to sample the renowned local tortellini) or Lago di Garda – Italy’s biggest lake – which is virtually next door. There is a parking lot near to the park’s main entrance, it can get very busy, so on weekends and holidays try to get there early. For current ticket prices and opening hours, please, click here or click here in order to see the park’s blooming schedules. Come to this park when you need a quiet moment far from the maddening crowds. It is unexpectedly beautiful and as far off the beaten path as it can get in Italy. The park is terraced and dotted with classical statues, little fountains and even a koi carp pond. The higher you climb up, the lovelier views across the valley you will enjoy. The park is very green and I loved sitting on its stone steps under the warm rays of the sun. You can purchase a ticket to see just the park or join a guided visit to the park, the 18th-century villa and the adjacent wine cellar. Click here to find out current prices and opening hours or here, if you would like to read a detailed blog post I dedicated to this park after a charming spring visit to it a couple of years ago. The village of Costozza is very close to Vicenza and makes for a relaxed day out. There is a small car park just opposite the park’s main gate. 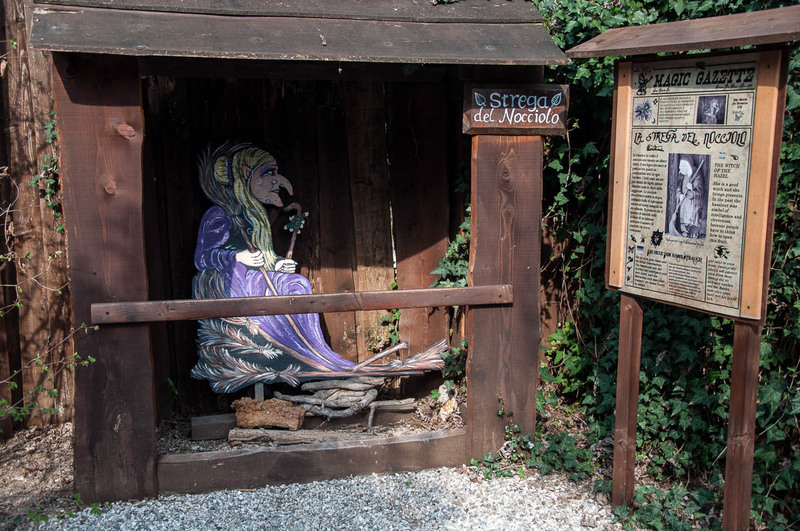 To purchase your ticket though, you need to pop into the nearby bar La Botte del Covolo where they will also give you a book with printed pages describing in minute detail the story of the park and its several features which you can consult as you discover the park for yourself. There are actually two parks to see and experience here – both very different from one another. 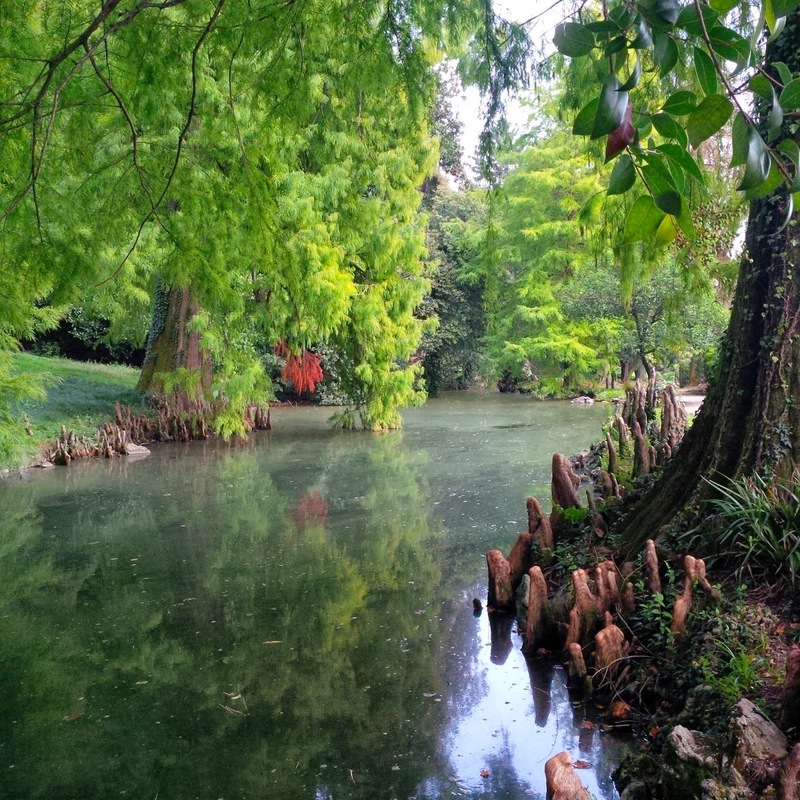 The park of the Villa Rossi is a traditional romantic garden with ponds and whimsical details spread through it. It reminded me a lot of the Spanish film Pan’s Labyrinth as there was something fairytale-ish yet quite ominous about it. 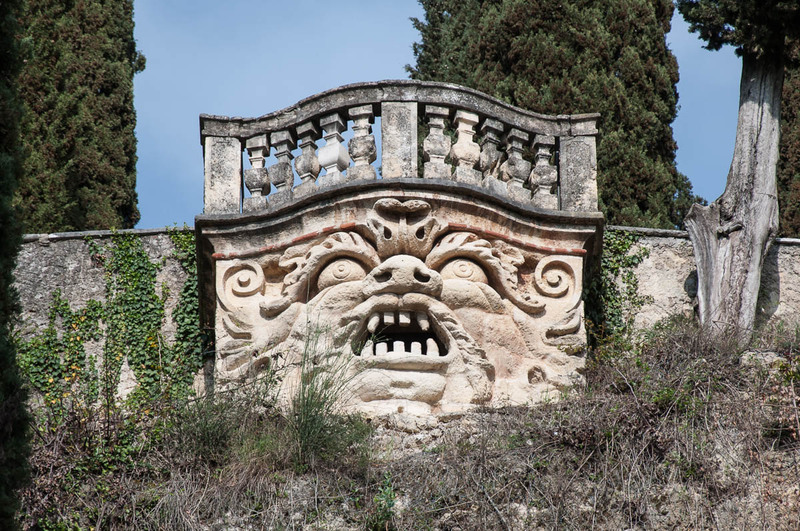 In fact, after I first visited it, I wrote a blog post calling it The Spookiest Place in Italy. 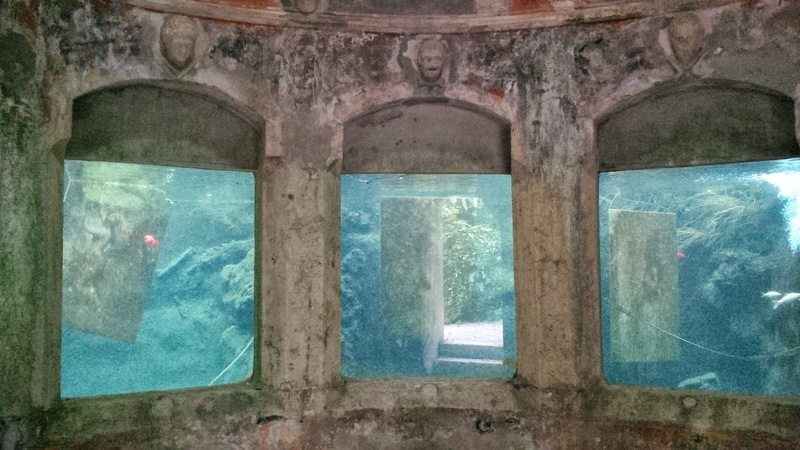 I was particularly unnerved by an old and seemingly half-abandoned aquarium where faded paintings had been suspended in the old and murky water tanks where some fish still darted nervously back and forth. If you have a wild imagination, you will definitely enjoy this place. Plus, the park is accessible for free on weekends and holidays. You can find more details here. Oasi Rossi, on the other hand, is a sunlit and fabulous place loved by children and adults alike. 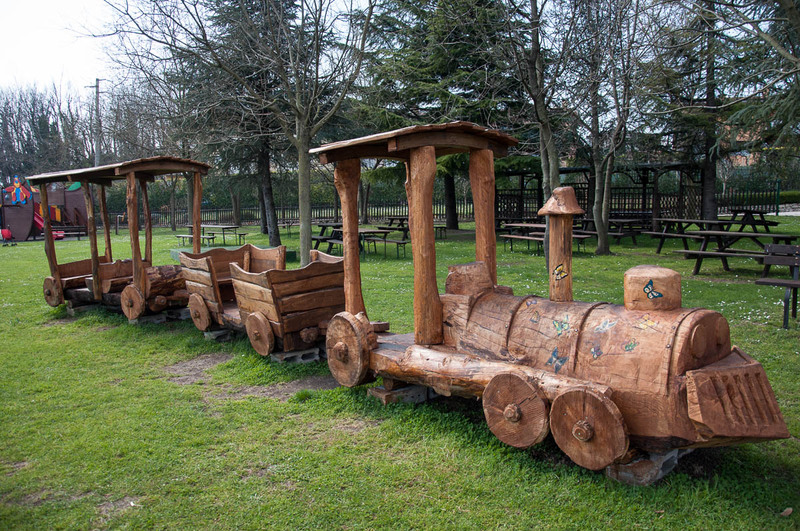 It has ample playground areas with all sorts of equipment, bouncy castles and even a full-size pirate ship. There are barbecue pits which you can use for free provided you bring your own meats and veggies to grill (if you forget the coals, they sell them at the adjacent garden centre). There is a train taking you round the place. 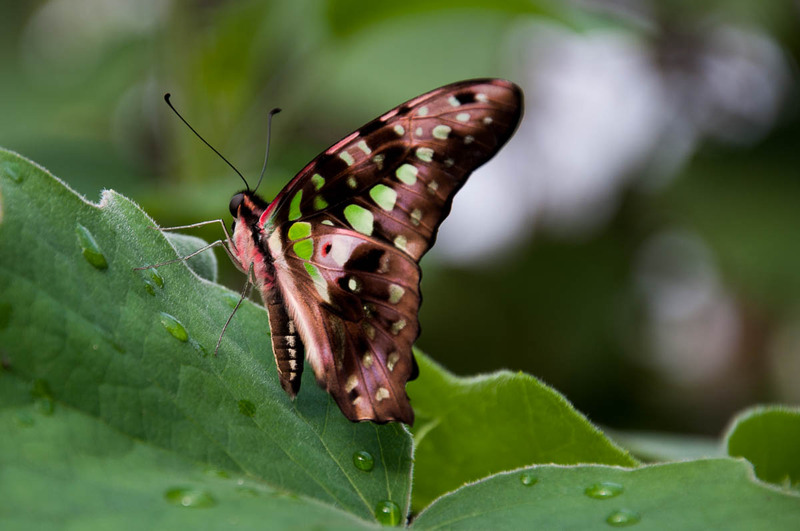 Plus, there are animals for the kids to see, several duck ponds and, most importantly, a gorgeous butterfly house which is, apparently, the biggest in Italy. 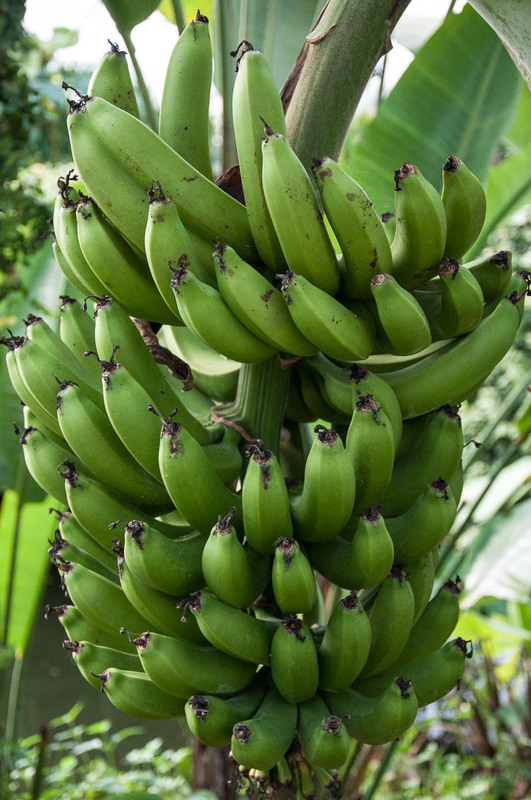 Inside you will find banana trees, orchids and all sorts of tropical vegetation with lots and lots of exotic butterflies fluttering by. There is ample parking (which you can use both for Oasi Rossi and the park of the villa Rossi). Unlike the park of the villa Rossi, Oasi Rossi charges an entrance fee. Please, click here to find out current ticket prices and opening times. Parco Querini is definitely Vicenza’s green heart and a testament to how weird and wonderful this Northern Italian city can sometimes be. 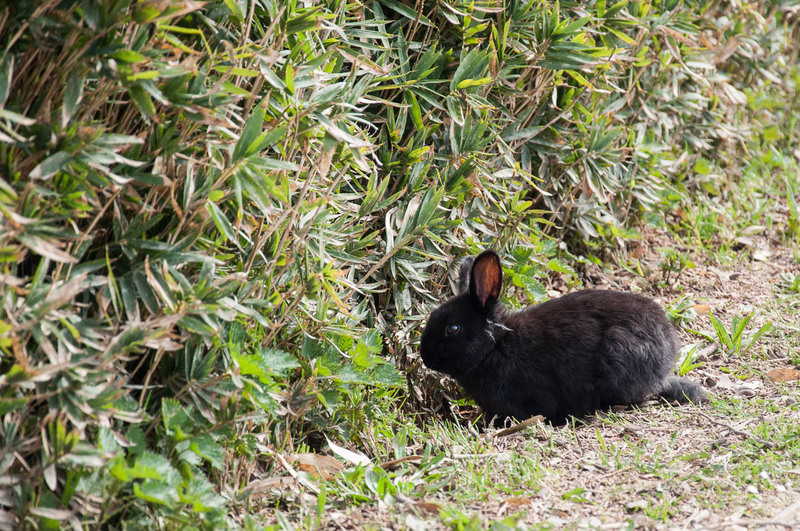 This is a place where rabbits, roosters, hens, turtles and even hairy nutrias run free much to the delight of visitors of all ages. 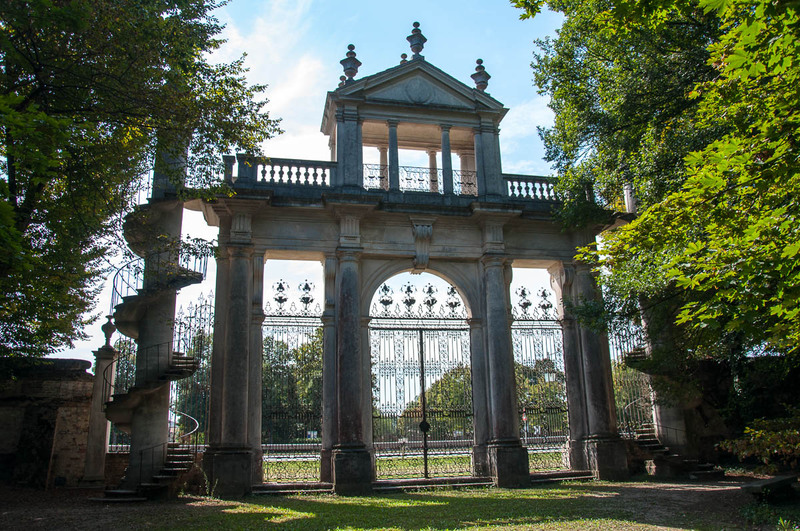 In a previous life, the park used to be the garden of a private palazzo nearby and it was opened to the public only in the ’70s of the 20th century. The park is famous for its pond in the middle of which there is a small steep islet. The islet is crowned by a temple built in 1820 in the Ancient Greek Style (please, see the very first picture in this blog post). There is a bridge connecting the islet to terra firma, however, a gate which is always locked prevents you from stepping on the islet. A long alley lined with statues stretches from the pond all the way to the other end of the park. 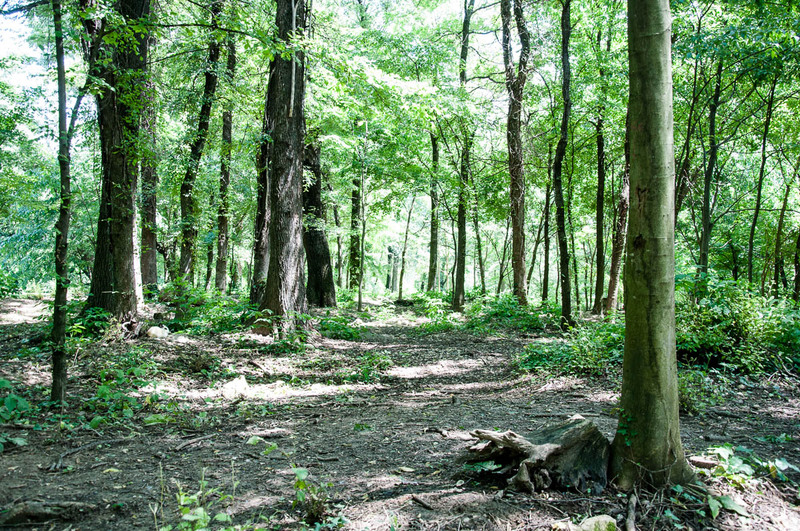 A small wooded area provides a nice contrast to the open green spaces where families picnic and friends play football during the many warm days of the Italian spring, summer and early autumn. Lots of events take place in the park on a regular basis, so check local listings to see what’s on. The park is popular with joggers and it has a fitness alley. Huge mulberry trees grow there, too and, when in season, their branches are covered with juicy white and dark mulberries. Lastly, don’t miss the hen coop, which is in an abandoned ruined house (apparently it used to serve as a nursery before the hens moved in to roost). Curiously enough, right by the coop, there is a tall leafy tree. Towards the end of the day, look up at it (but don’t get too close) and you will see the roosters and the hens snuggling on the high branches getting ready to spend the night there. Entrance to the park is free of charge. There is a small kiosk selling coffee and gelatos. There are also some vending machines with an assortment of drinks, ice-creams and small snacks. Just next to the park is the hospital’s paid parking lot. You can leave your car there, provided you buy a ticket, just bear in mind that during weekdays, the parking lot can get very busy. For more pictures of the park combined with some more information about it, please, click here to see a blog post I wrote soon after we moved to live in Vicenza. A park within the defensive walls of a medieval castle?! Yes, it is a fairytale come true. Este – nowadays a sleepy town 40 minutes away from Vicenza – has been the centre of several human civilizations for the past 30 centuries. An amazing Archaeological Museum testifies to its rich heritage. Now, in the context of this blog post, the important bit is that right in the heart of the town (and, actually, the museum is attached to it) there is a splendid Italian garden which is housed within the defensive walls of a medieval castle. 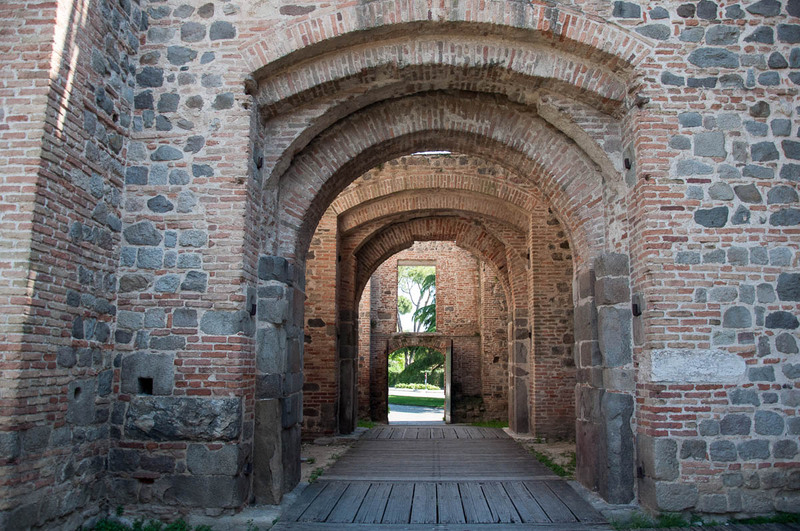 The castle itself was originally built in the 10th century AD and was then re-built between 1339-1340. The thick defensive walls have a circumference of 1000 m and are dotted with 12 (of initially 14) turrets. In the 16th and the 17th centuries, the space between them was turned into a park which was completely restructured between 1914 and 1915. 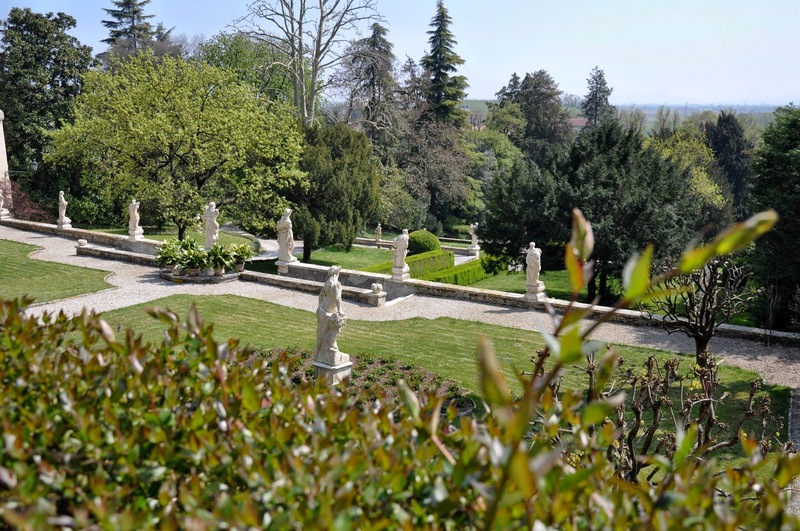 Nowadays the garden has a terraced design with lots of green spaces, flower arrangements and centuries-old trees. 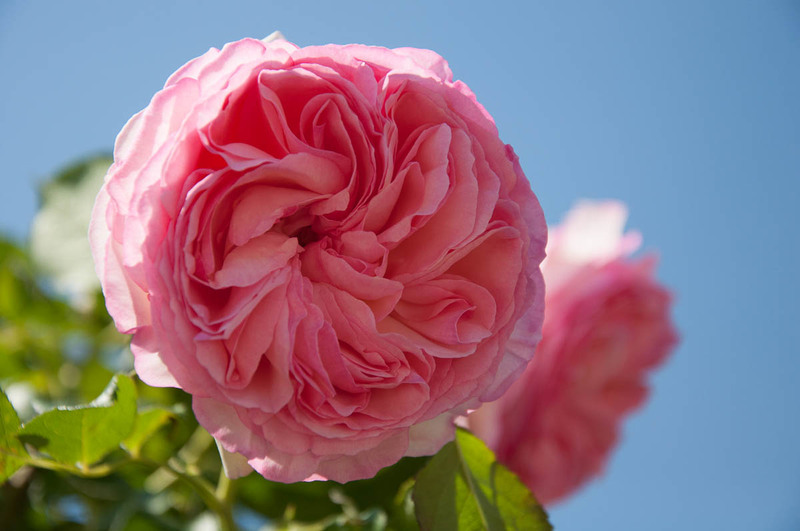 A fragrant rose garden is a must-see. Statues are dotted around the place. It is really romantic and, looking at the mighty turrets, you can almost imagine that you are in Sleeping Beauty’s castle. For a gorgeous view of the whole Este, scale the paths to the highest point of the park. Next, to one of the main gates (which is dripping with purple blooms during wisteria season), you will find a very nice playground. Lunch (unless you have brought your own) is only a short walk way down Este’s main street where there are lots of traditional and modern eateries. Access to the public gardens is free of charge and there is ample parking by the defensive walls. 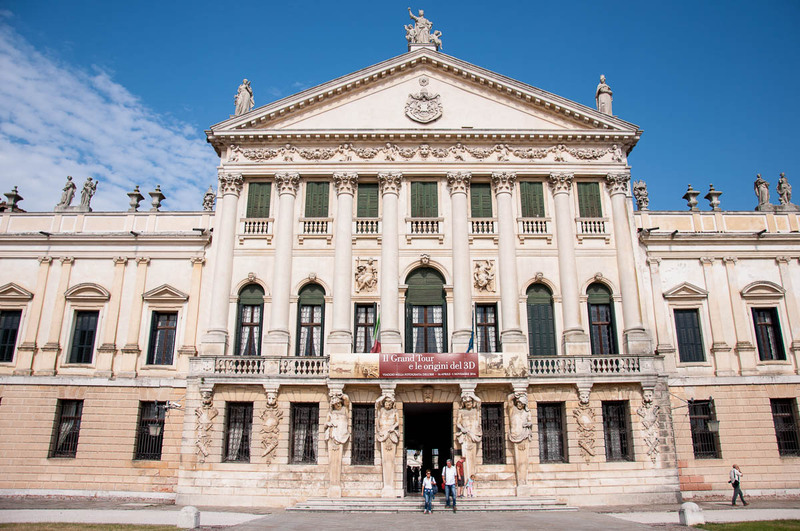 The Archaeological Museum (housed in the adjacent palazzo) can be visited for free every first Sunday of the month, otherwise, a rather small entrance fee applies. Este is also famous for its ceramics and, if you walk around town, you will come across several studios where the ancient craft is still practised nowadays. 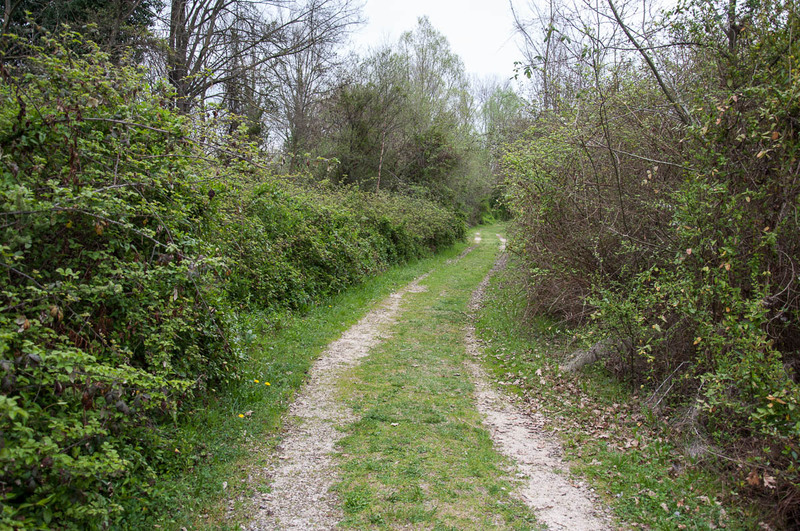 If you are a passionate birdwatcher or are looking for a new place to go for nature walks, head over to Cave di Noale – a WWF-run oasis on the outskirts of the medieval walled town Noale. 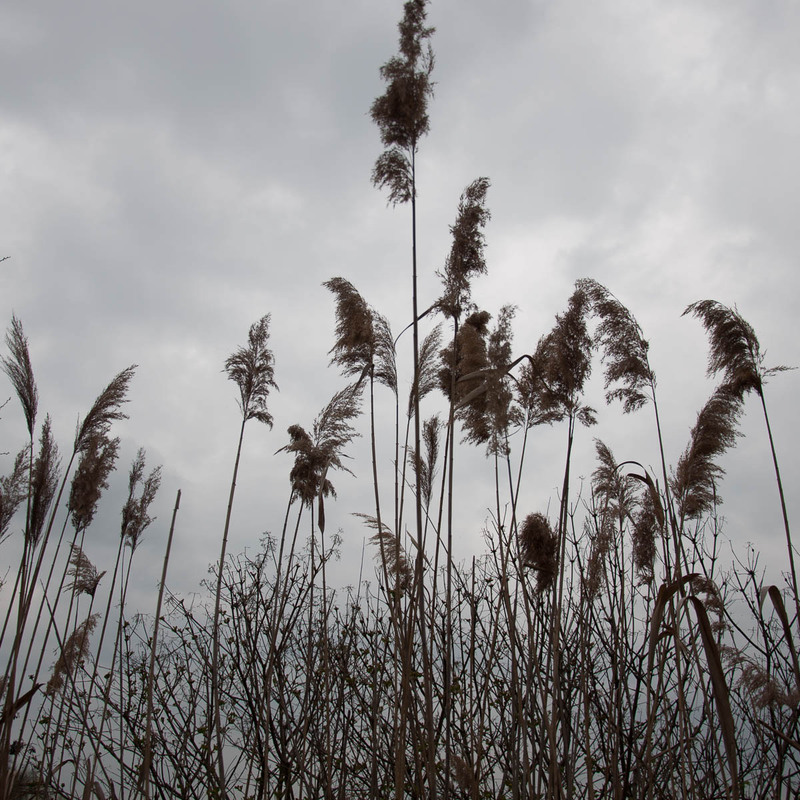 Originally a clay quarry, the place had been regenerated and nowadays has two lakes circumnavigated by a path so that you can walk around and observe several different types of birds in their environment. 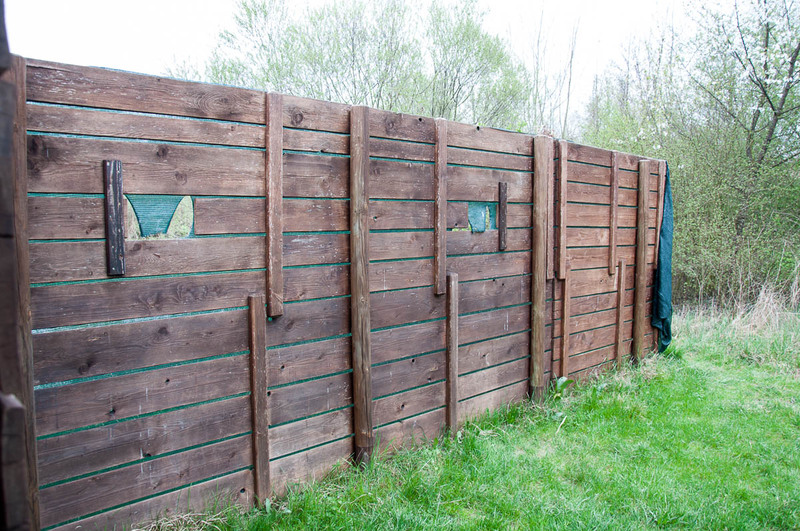 There are also well-maintained picnic tables, birdwatching huts and shelters. It is a very peaceful and quiet place and you are bound to meet some serious birdwatchers there armed with binoculars. The oasis is popular with nature photographers, too. It is a great place to head to after a visit to the town of Noale or to simply while a few hours there getting back in touch with nature. Please, note that dogs are not allowed in. Entry is free of charge and there is ample parking space. In any case, you can also park in Noale and walk for 15 minutes or so to reach the oasis. Click here in order to consult the official website of the place or here to read my first-hand account of a great day we spent in Noale followed by a leisurely walk around the oasis’ lakes only a couple of weeks ago. 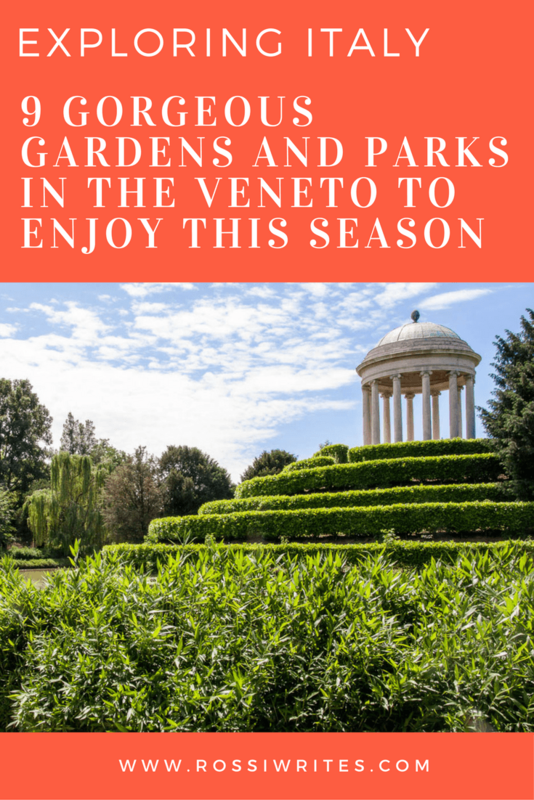 I hope that this list will come in handy when you make plans for days out in the Veneto. Let me know which ones of the above places you have already been to and which ones you would like to visit as soon as possible. Also, if you have any other suggestions, just mention them in the comments bellow, as I love discovering new green places.